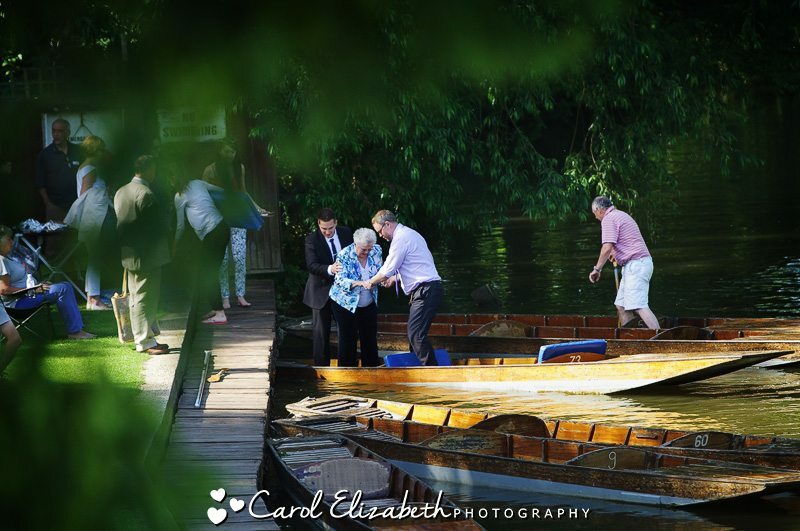 I was delighted to photograph Louise and Adam’s Oxford College wedding at St Edmunds Hall as well as their Cherwell Boathouse wedding reception. 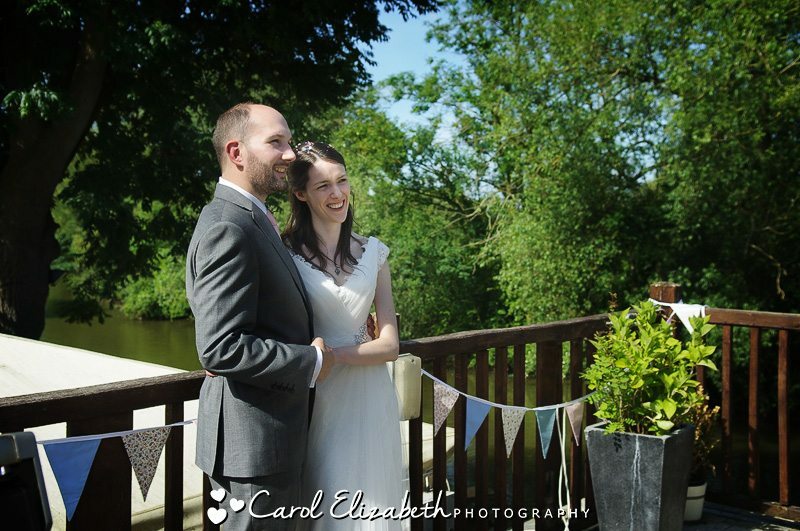 Is was one of the sunniest days we’ve seen this year! 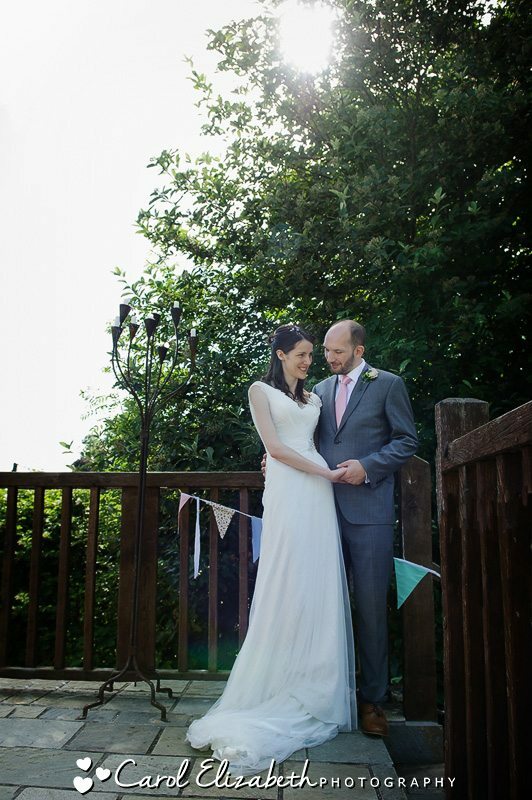 A fantastic day from start to finish. 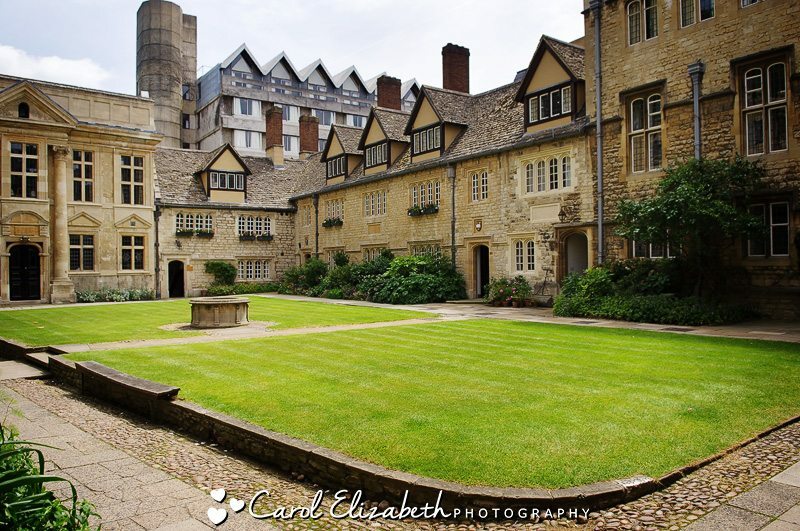 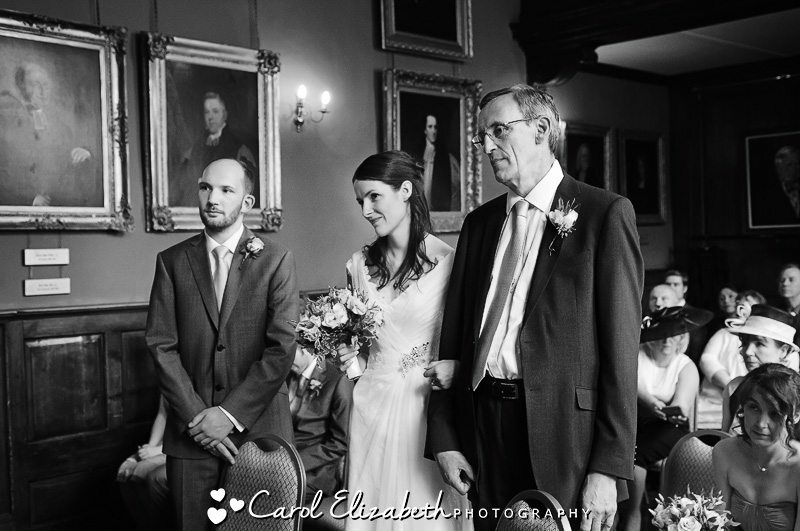 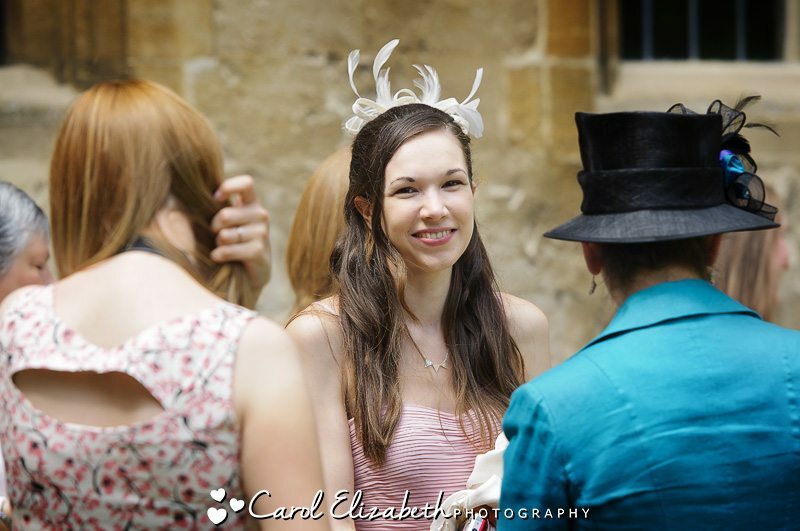 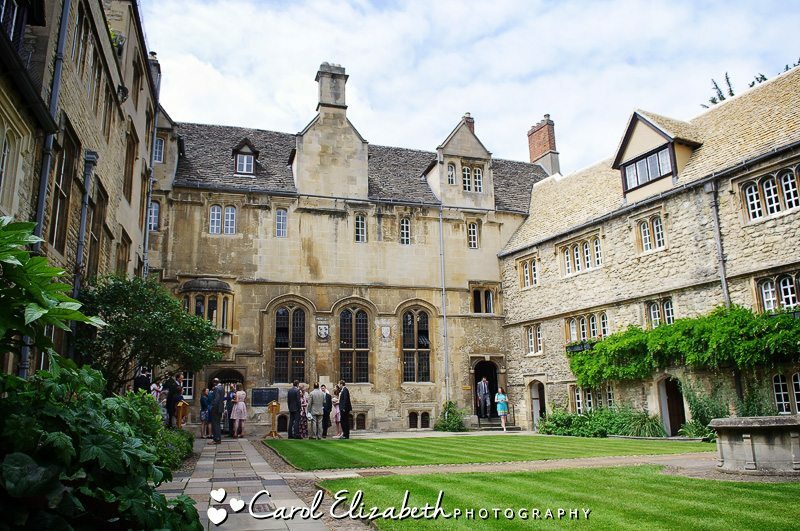 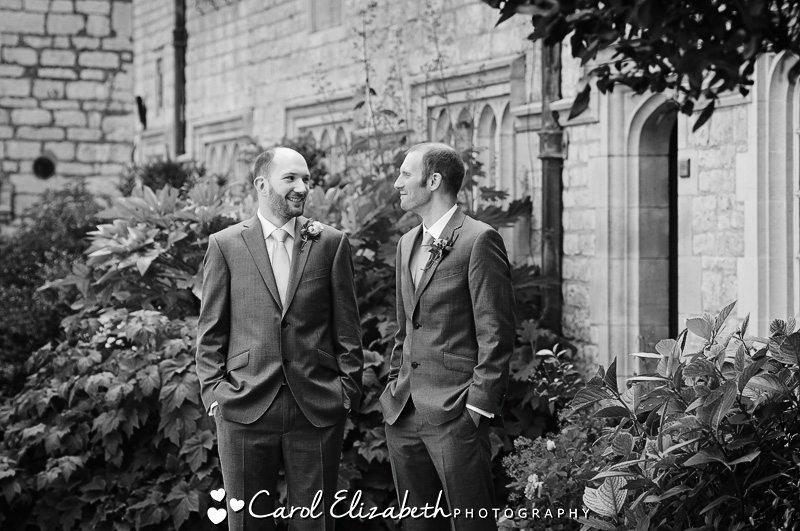 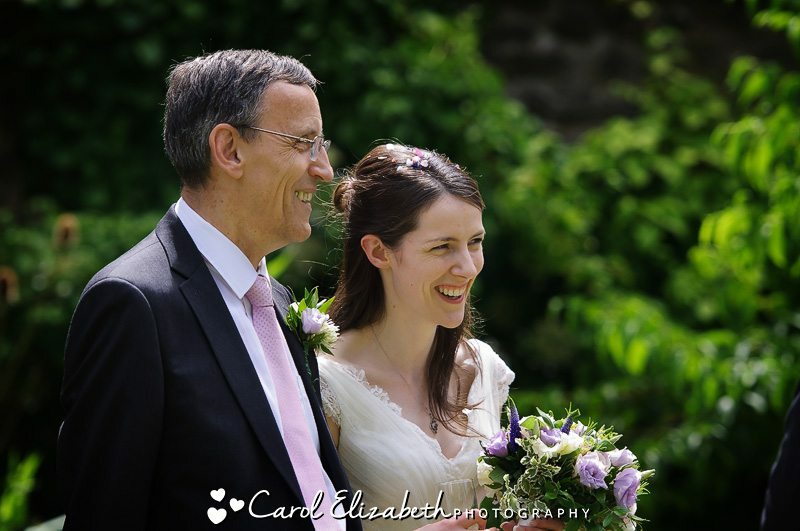 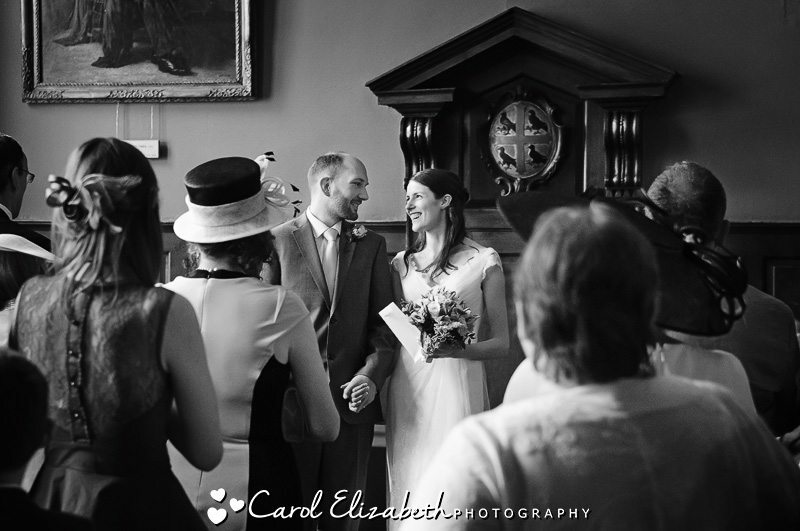 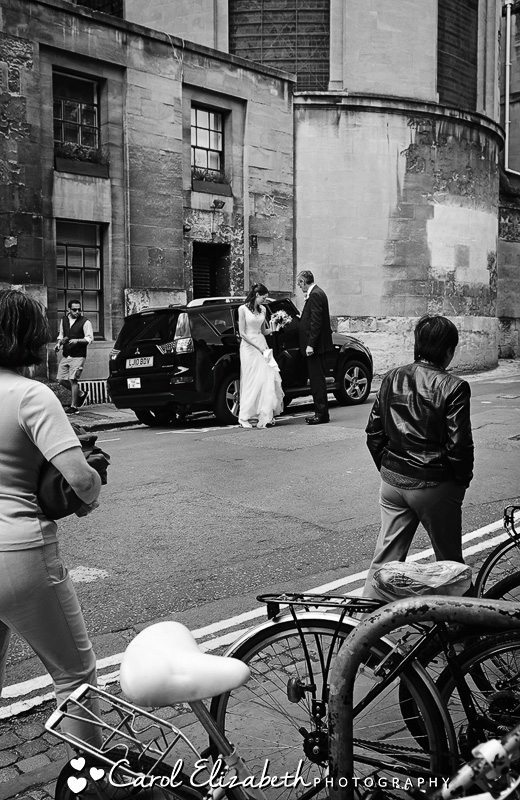 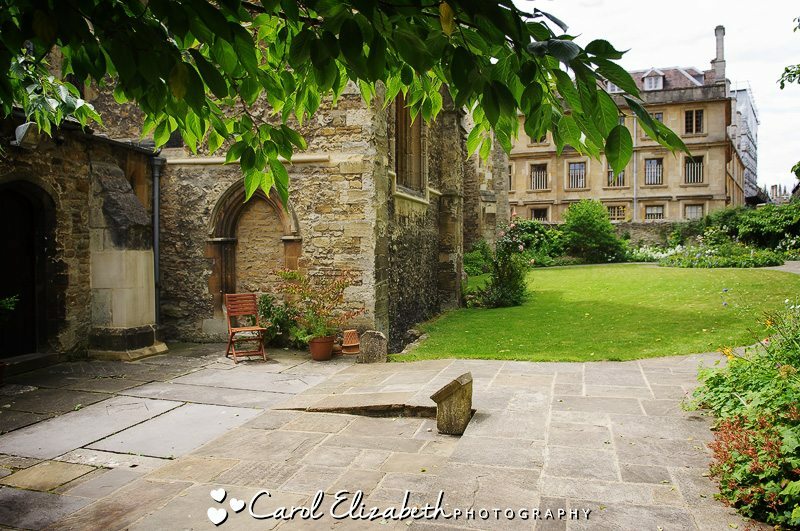 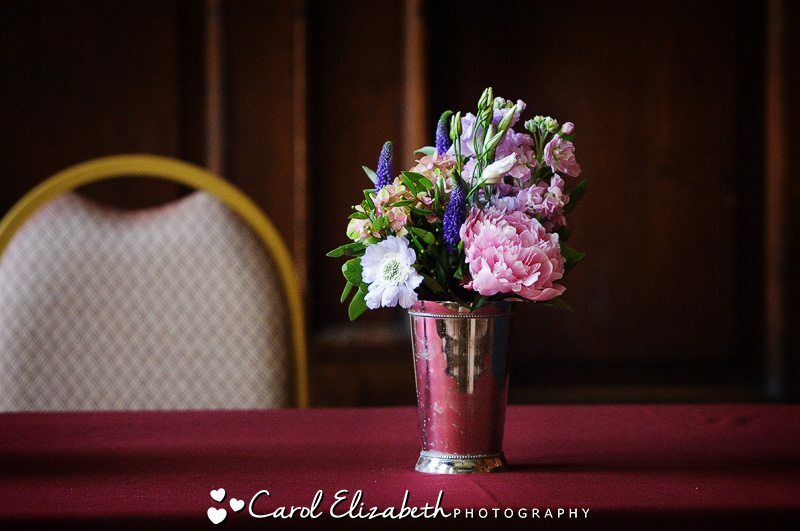 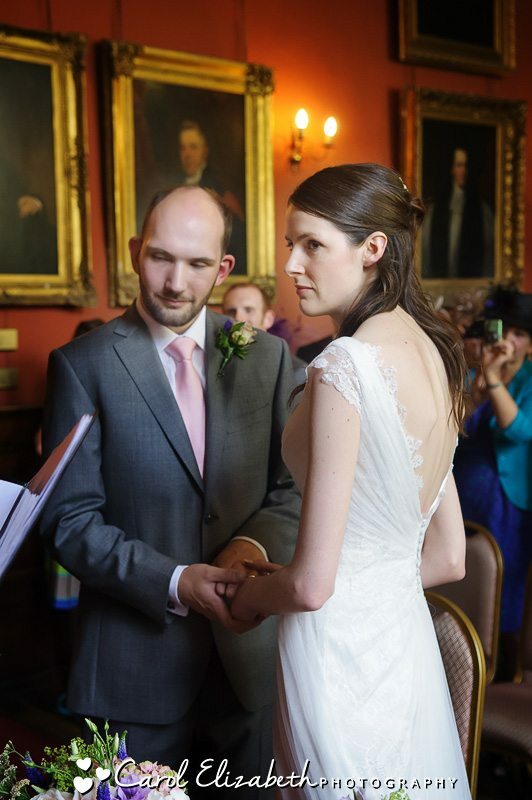 I started at St Edmunds Hall in Oxford – a delightful Oxford College wedding location. 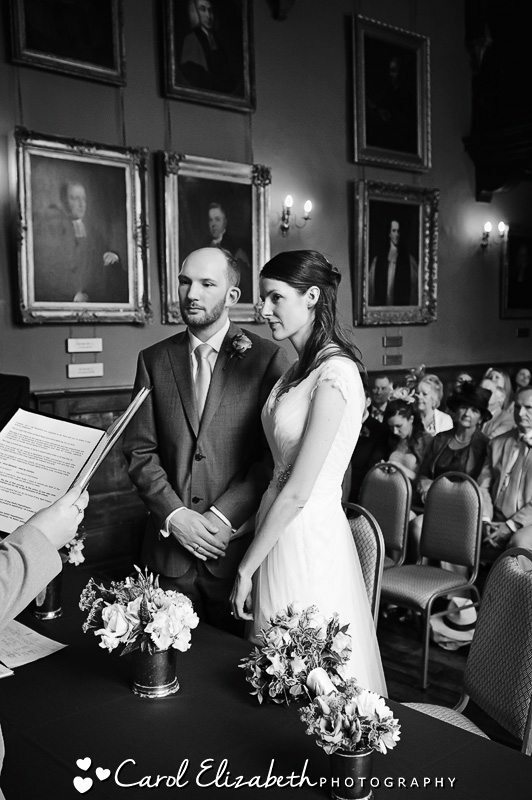 The ceremony was in this magnificent venue – there is such a sense of history in the beautiful rooms of the College.The sun was streaming into the ceremony room as Adam and Louise said their vows. 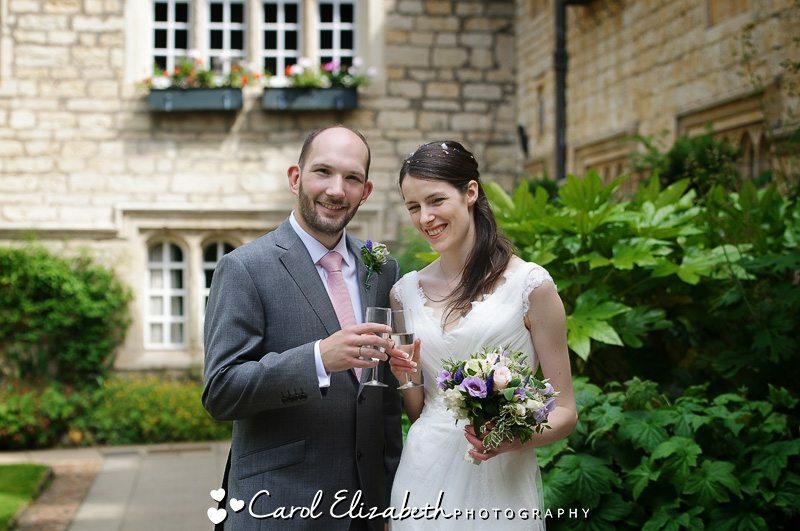 The ceremony was followed by drinks in the beautiful gardens. 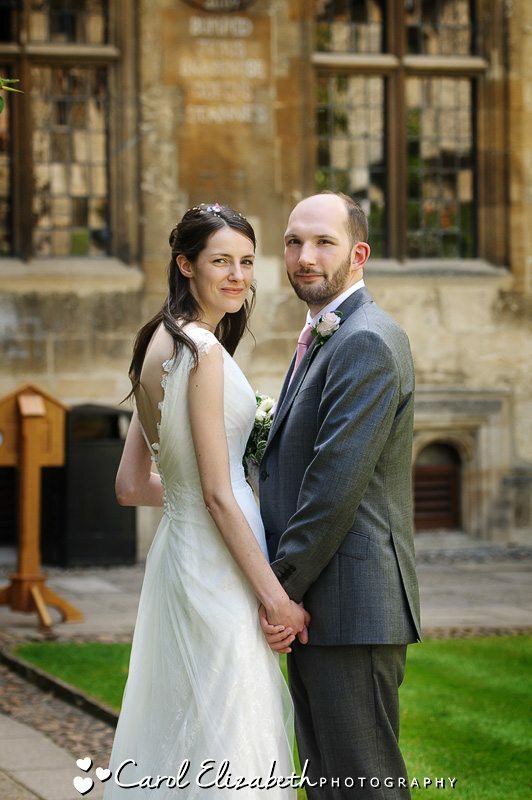 We also took a quick stroll in the grounds for some wedding portraits, making the most of the wonderful grounds. 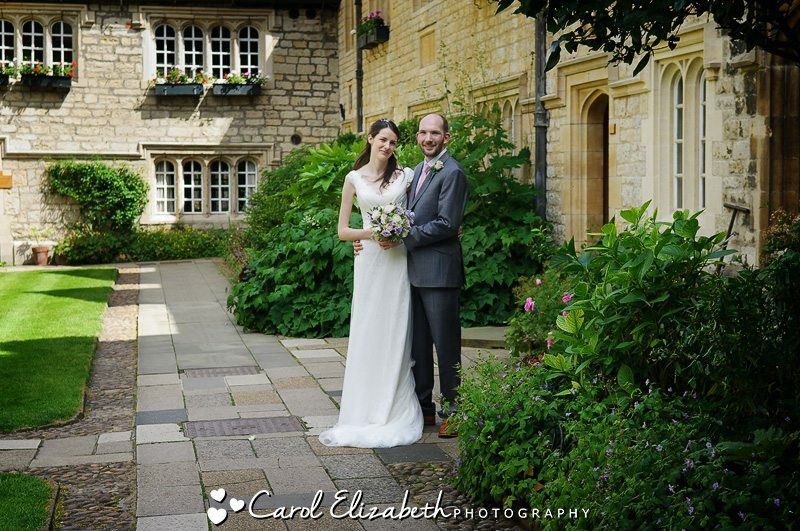 The flowers and trees which are all in bloom and make a lovely backdrop for the bride and groom portraits. 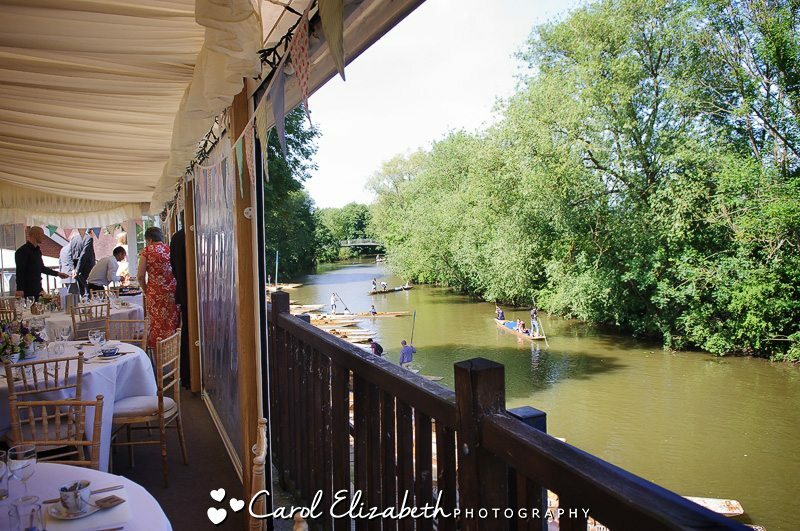 We then headed off not far down the road for the Cherwell Boathouse wedding reception. 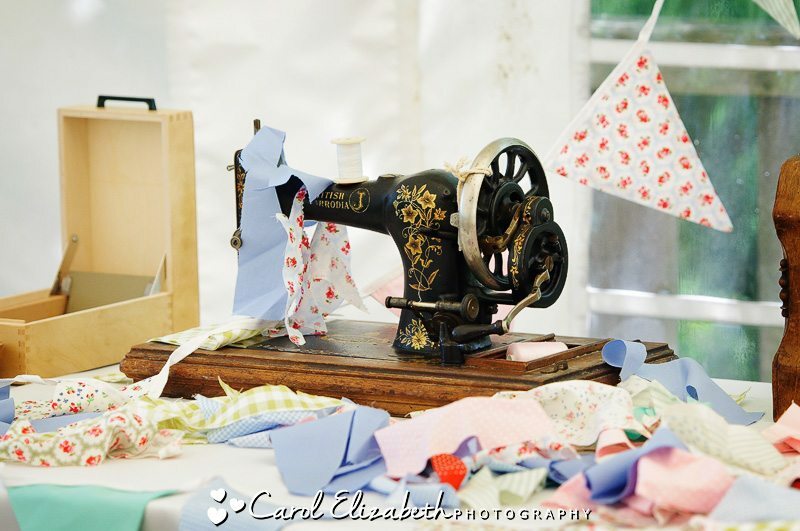 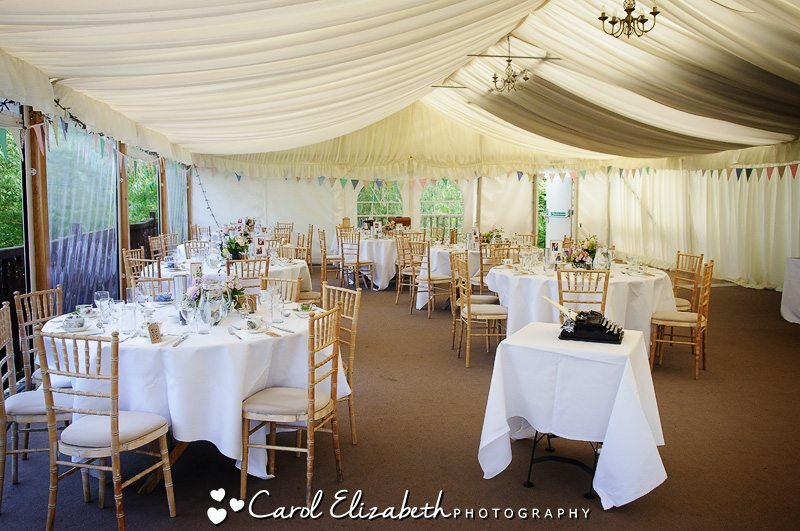 The ceremony room looks gorgeous – lots of fresh cut flowers and tea cups, as well as beautiful handmade bunting. 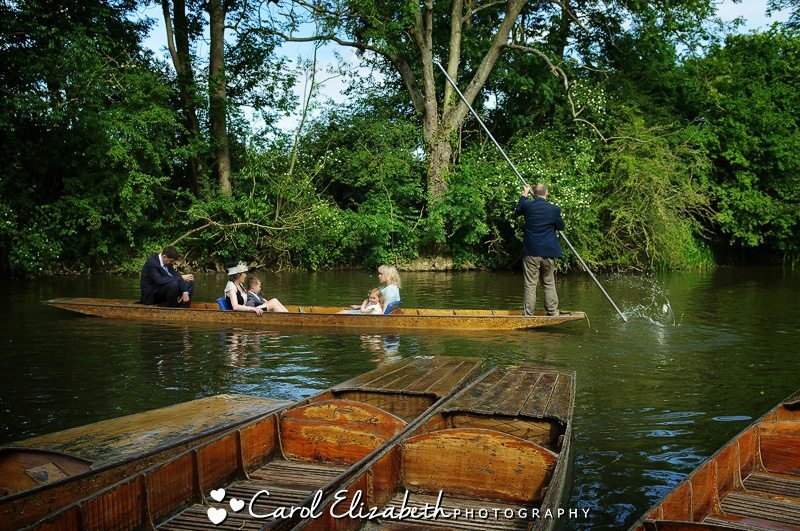 A few guests went off for a punt on the river, and everyone then settled down for their wedding breakfast. 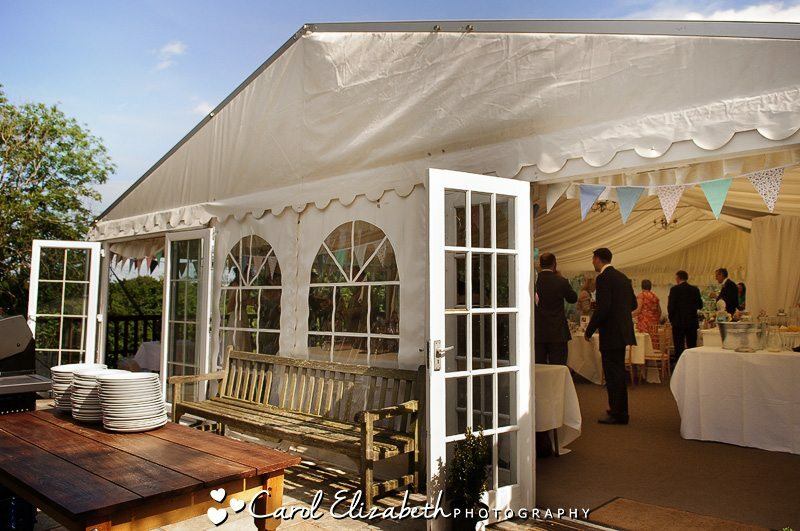 The lovely sunshine continued into the evening. 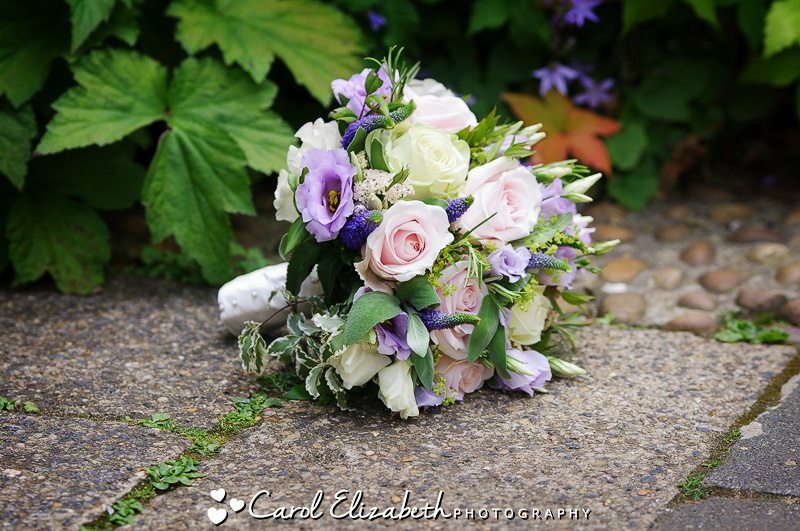 Gorgeous flowers by Fabulous Flowers in my hometown of Abingdon and also in Oxford. 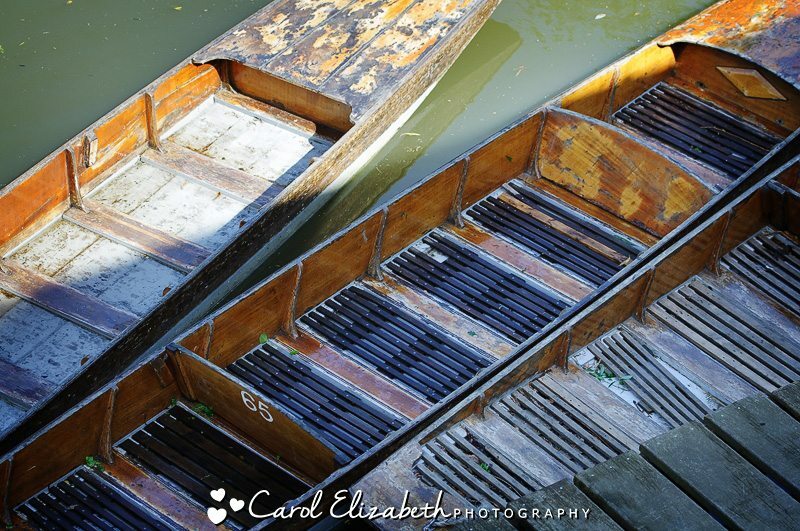 I love taking a photo of the Cherwell Boathouse from the bridge further down the river. 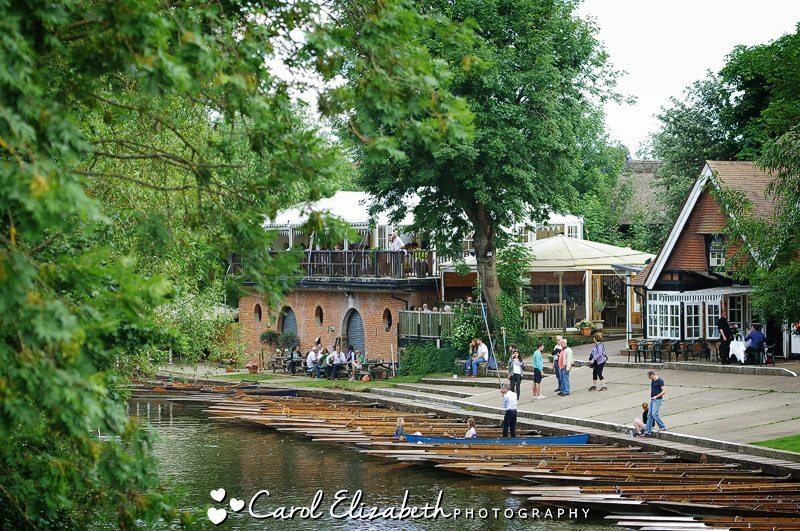 The river was still quite busy with people enjoying the lovely sunny weather, after a long spell of rather mild and rainy weather. 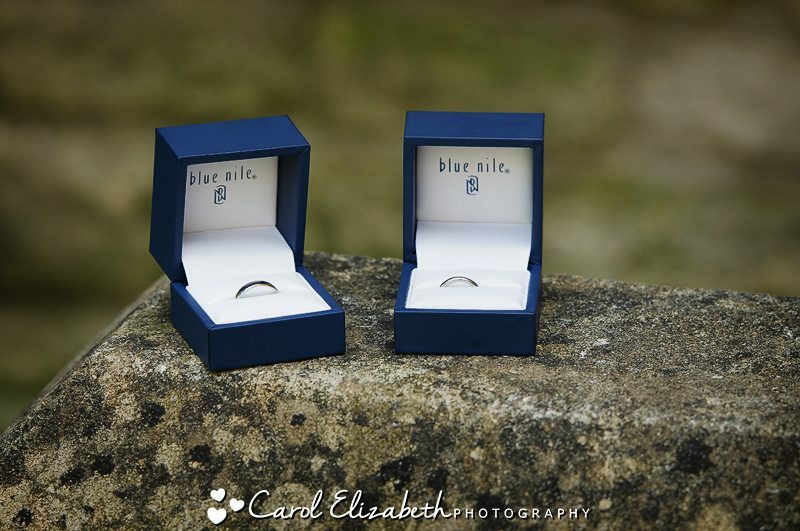 Congratulations to both of you! 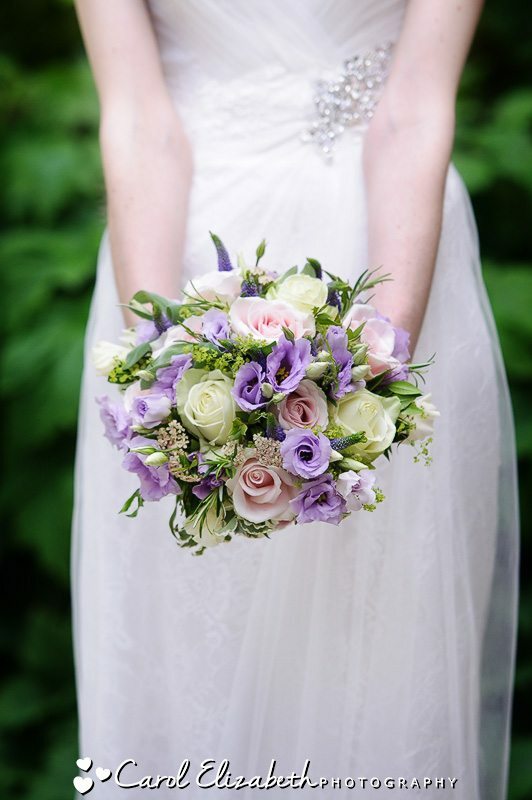 I wish you a lifetime of happiness together, and enjoy your holiday later in the year. 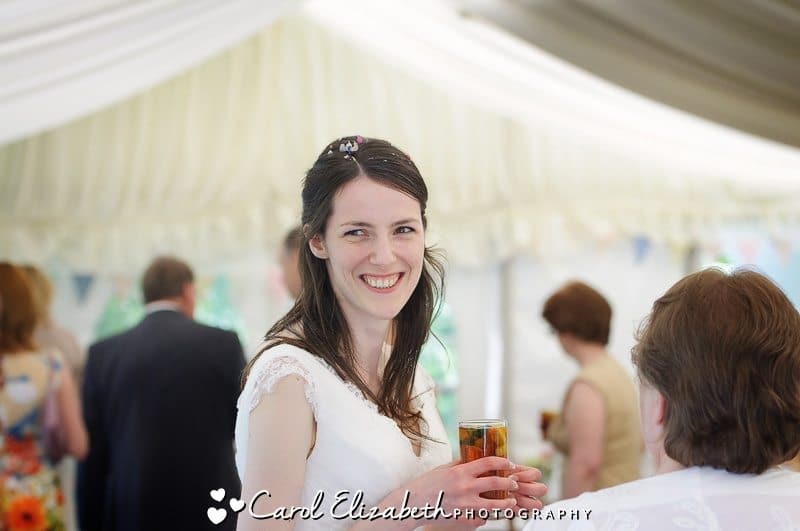 Thank you for choosing me to photograph your wedding celebrations! 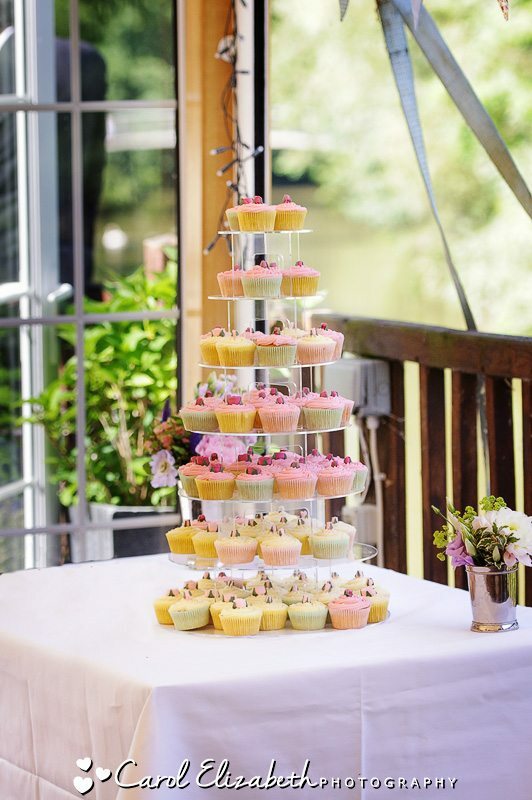 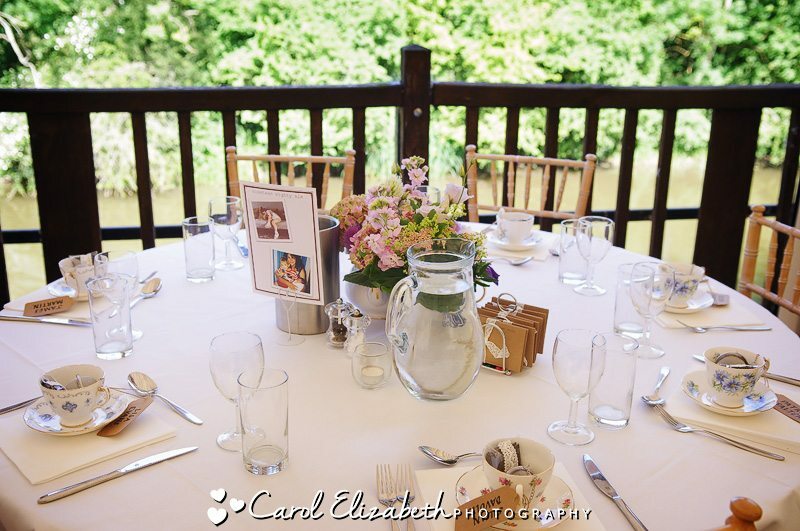 If you are planning a wedding at St Edmund’s Hall or a party or wedding at The Cherwell Boathouse, then why don’t you get in touch for a chat? 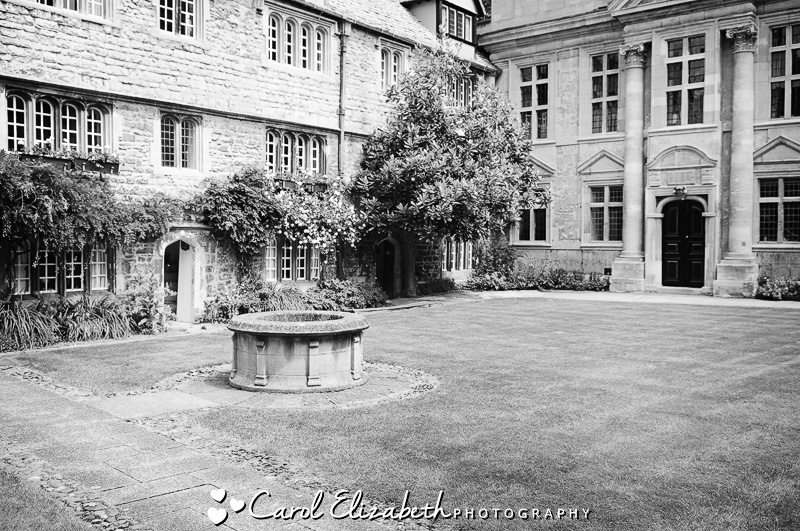 I am very familiar with many of the colleges around Oxford and have photographed many happy couples. 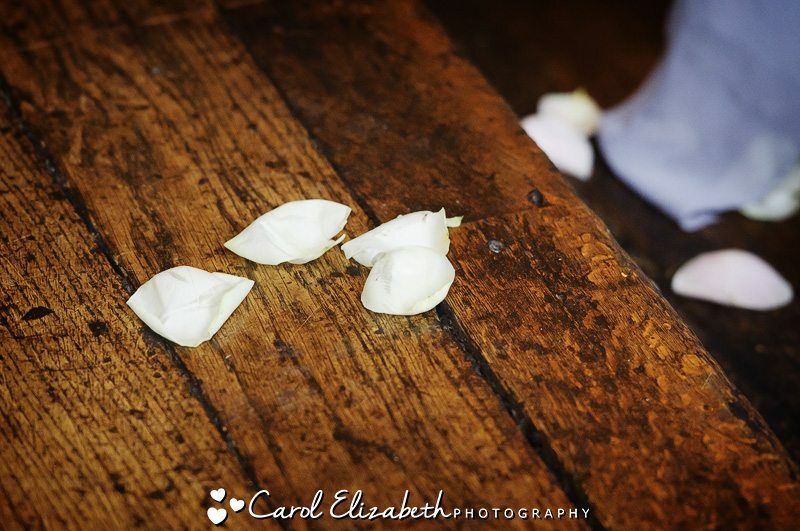 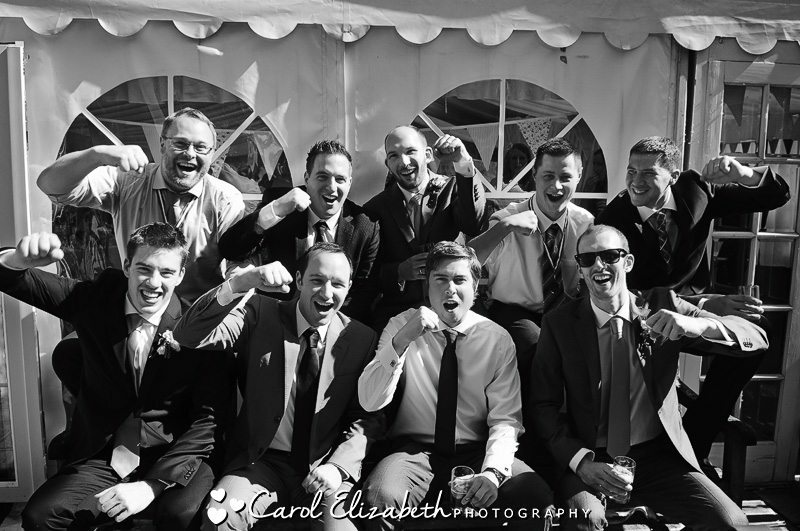 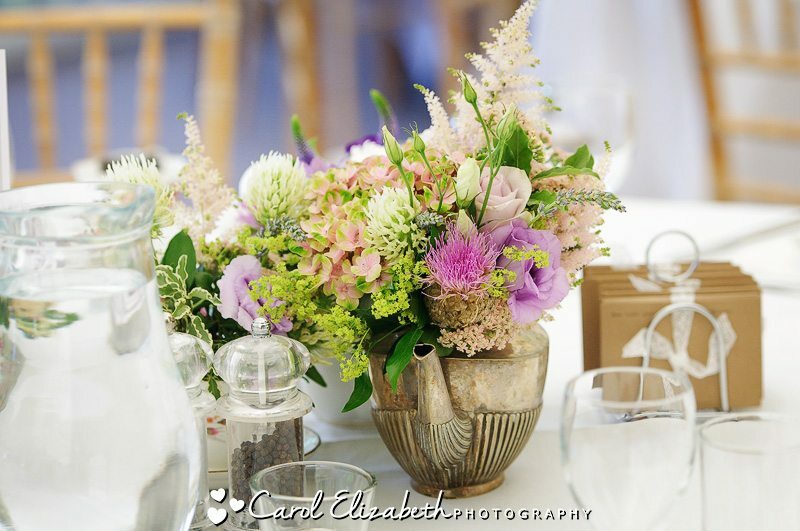 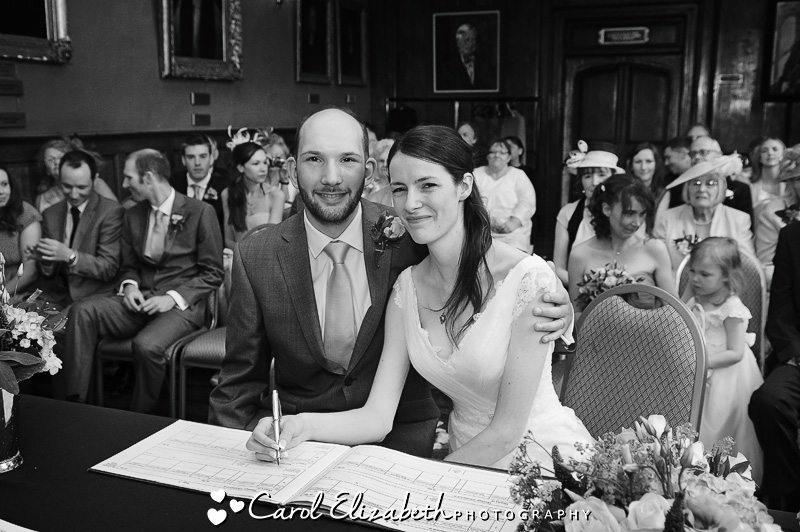 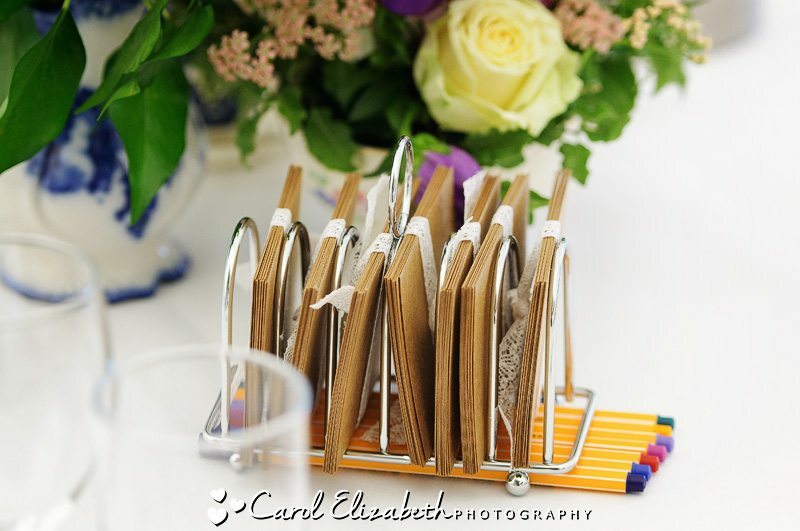 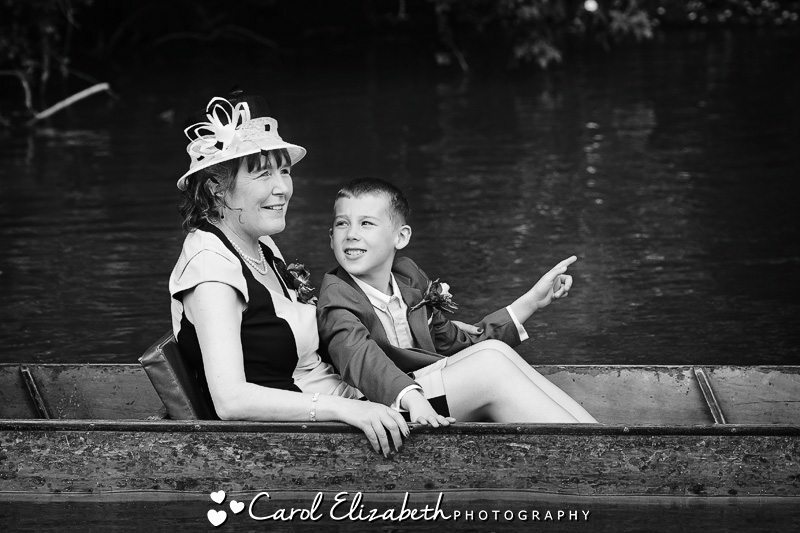 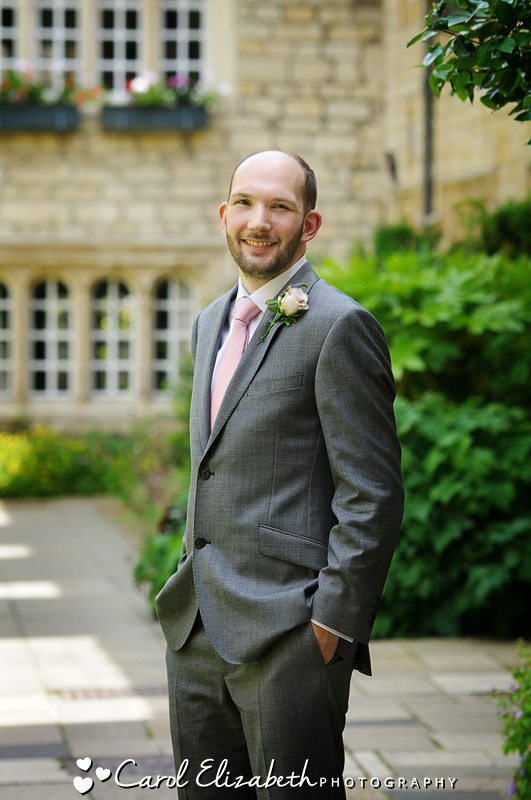 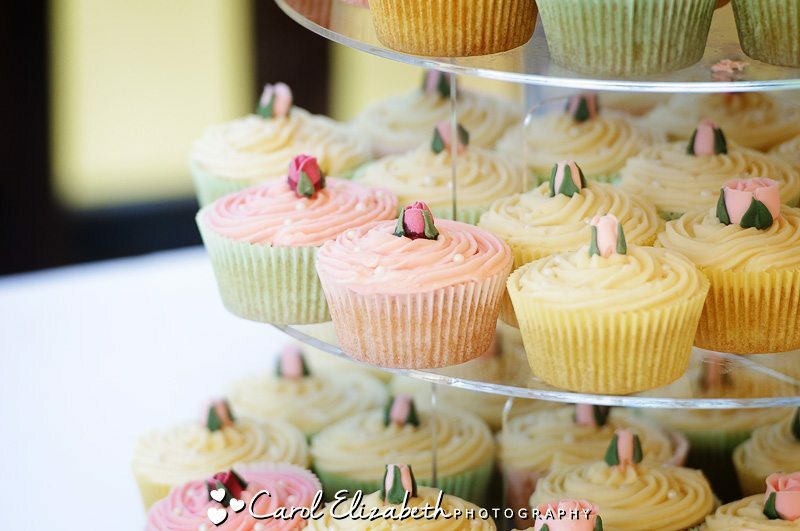 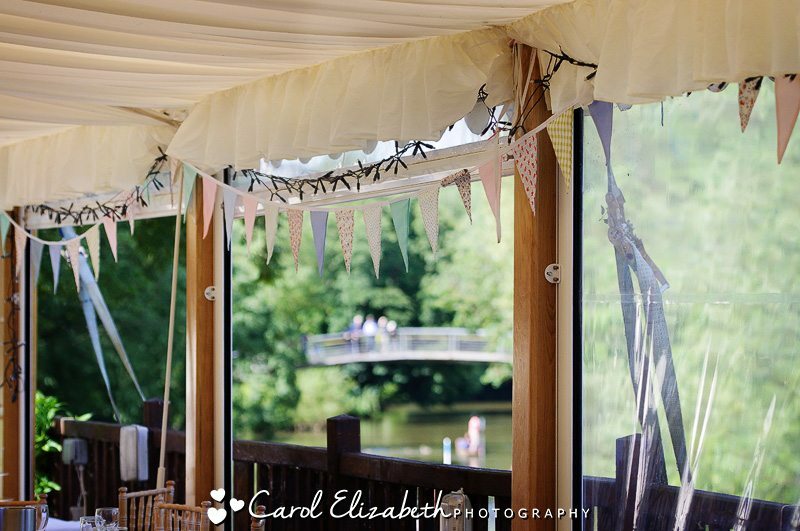 I am a Cherwell Boathouse wedding photographer with an informal style and friendly approach. 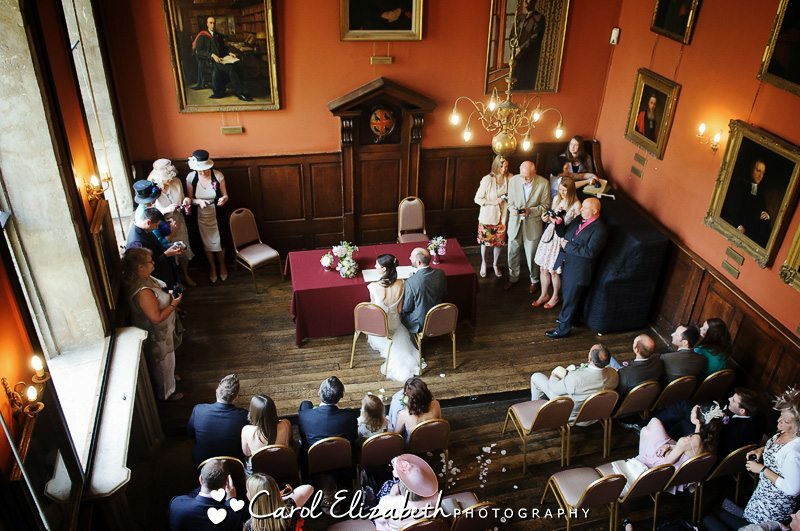 I also provide Oxford College wedding photography throughout the year.